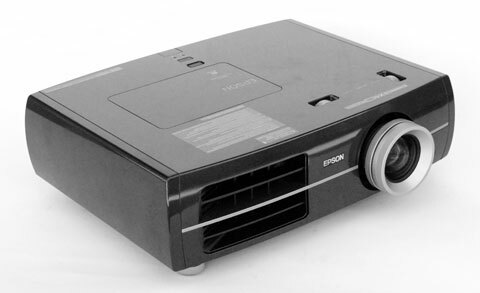 The Epson Home Cinema 6500UB and Pro Cinema 7500UB are the company's latest high performance home theater projectors. Unveiled at the CEDIA show last September, they commenced shipments around the end of the year. If one needed to describe what they are all about in one sentence it would be this: They are very bright, and very high in contrast. Actually, they are among the brightest home theater projectors we've ever seen. They are not without a few flaws, but as far as image quality goes, they are very impressive indeed. * The 7500 comes with a set of calibration memories that can only be accessed by ISF trained installers to fine tune the image. Since the memories are locked, the user cannot accidentally alter or erase those calibrations. * Precalibrated operating modes on the 7500 are different (or at least differently named) than on the 6500; the 6500 modes include Theater, Theater Black 1, Theater Black 2, and Dynamic (among others) whereas the 7500 has Cinema Day, Cinema Night, and Vivid (among others). * The 7500UB comes with an anamorphic stretch mode that allows you to use an anamorphic lens without needing an external video processor. The 6500UB does not. * The 7500UB has color isolation test patterns that enable you to adjust color settings without needing viewing filters. * The 7500UB is black, and the 6500UB is white. * The price of the 7500UB includes a spare lamp, ceiling mount, and cable cover. These are options at extra cost on the 6500UB. * The 6500 UB has a standard two-year warranty, while the 7500 UB is three years. Light Engine: 1920x1080, native 16:9 3LCD, 200W E-TORL lamp. Video Compatibility: 1080p/60/50/24, 1080i, 720p, 576p, 576i, 480p, 480i. Connection Panel: Two HDMI 1.3 ports, one 3-RCA component port, one VGA port, one composite video, one S-video, one RS-232c, and one 12-volt trigger. Lens and Throw Distance: 2.1:1 manual zoom/focus lens. Will throw a 100" diagonal 16:9 image from 9.75 to 20.8 feet. Warranty: 6500UB, two years; 7500UB, three years. Is that firmware update 100% happening??? I spoke with a higher level tech at epson on two occasions and mentioned and sent a link to your article. Both times he said there is noting wrong with FI and there is no firmware update in the works... Could he possibly just be saying that because they aren't allowed to divulge that info to customers, and they don't want to admit that their product is broken?? Well i hope that the update is true because the FI to me is very unusable right now. I had high hopes for it..
Thanx for the useful info. out of focus problem seems serious, I was intending to purchase a 6500UB from a dealer in UAE, they have some units but definately won't do it unless I know the defected ones' serial number. The projector does throw a great sharp picture. Hopefully they will release the firmware to fix the FI. As a current owner of the 6500, the issue I have and we have discussed this in private emails is the poor convergence on both my replacement units I received when I reported the defocus problem on my original unit. I am now waiting for my third replacement 6500. Hopefully I will not have a convergence issue. My original 6500 had no convergence issues, just the defocus. Also as discussed in our prior emails, Epson customer support still takes the stance that there is no update for the FI issue. 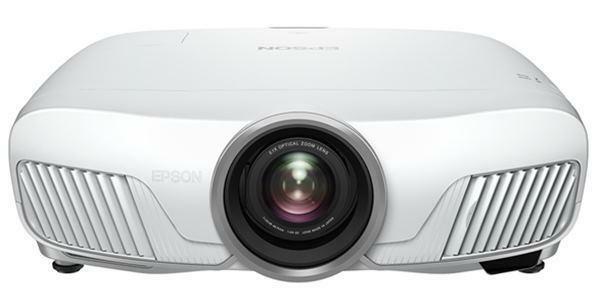 They also stated that if in fact a new firmware does come out for that issue, we as end users would not be able to install it ourselves; the projector would have to be sent back to Epson or an authorized service center for the update. The CSR stated we would void our warantee if we installed the update ourselves. I will keep you updated on the status of my replacement. What is the difference between these projectors and Data Projectors? If so what type of projectors are these. Just updated my TW4000 from Firware V1.05 to V1.08 myself. All went very well. I don't see any difference on FI. I believe this firmware update doesn't include any improvement on FI. However, I do see the handshake time has improved a bit. Switching inputs is faster now. It's still slower than my old Panasonic AX100, but the speed is ok and I can live with that. I just received the 6500UB. The picture is great. I have not seen the issue with the defocus, or the FI. Have not had a quiet movie yet to see if the Iris noise is there. Awesome projector. Just purchased 6500UB. SO far NO issue of FI or Defocus. Watched few NBA games. PJ is 20' away from the screen and picture is just AWESOME. Easy set up (straight out of the box). recieved the bad unit out of the box. lamp light keep turning on. epson is sending a replacement unit. Be cautious if thinking about this one guys! (Epson 6500) Just got it out of the box and within half an hour, I have 2 major disappointments: 1. this thing is LOUD, I'm talking 30+ db. Might not be a problem for some people but was for me. 2. NO KEYSTONE adjustment. Go look at the FAQ on the web, or the on-line manual --it says if you get a trapezoid shaped image, move the projector to the exact dead on center of the screen. Problem is - this thing is HUGE and I already have a mount which works fine but this projector has the lens off to one side, so it isn't dead on center out of the box. Even my 4 year old Panasonic, which I'm replacing, has a keystone adjustment if you are a wee bit off center. The picture quality is amazing but in my opinion some serious design errors were made---maybe that's why they're giving out $500 rebates right now. Other negatives --it runs so hot you could griddle bacon on it, and it's a bright and shiny WHITE color which doesn't look too great on my black home theater ceiling. No I don't work for their competitor. Just bougtht this thing but I'm returning it and taking a look at the Panasonic 3000 or the Mitsubishi. Msg to JohnW: Umm, keystone is a crappy old technology that stuffs up image quality. Umm, there's a thing called Lens Shift on this projector! i have an old epson type projector those big heavy things hang to the ceiling. lately it lost focus and could not adjust. do anyone think that by changing the lamp bulb would solve the problem? This projector is amazing, its my first projector and I am in love with it, It plays PC games very well, with the exception of crysis which usually crashes or makes the image artifact and then black out. 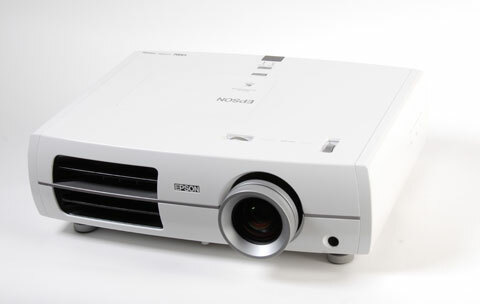 dear freind the 7500ub you cant go wrong i've had it almost ayear very happy it compares to and wont notice the differece to a 50k projector i did my homework this is best projector for the buck the 6500ub not the same! I am not very knowledgeable on technical things. The problem I have with my 6500UB is that sometimes I just lose the picture when I am watching a dvd. If I turn the dvd player off I can usually get the picture back when I turn it back on. This has happened to me about 20 times. Does anyone else have this problem? I am not sure if the dvd player of the projector is the problem. One the image black-out: that may happen when your HDMI cable quality is low (typical for low cost cables, especially long ones). If you need a longer cable (>10 ft) go to Blue Jeans Cable or Monoprice cables. I must say I bought several cheap 2ft long cables from somewhere that simply do not pass 1080p through, and I had blackouts with 35ft long cheap ($30) cable. On the absence of keystone adjustment - I personally do not advise to use that on any projector, it screws your resolution and adds artifacts. Epson has ample lens adjustment range for up-down and left-right, keystone is handled by changing the angle to where it points and then moving image back to screen by shifting lens, I got absolutely perfect picture. If picture is larger at bottom aim the projector higher and shift lens down, if it is higher on the right - aim projector toward left side and shift picture back to center with the lens. I have been using the 6500UB for about a year. I think that it is an excellent projector. The picture is incredible. With native resolution 1080p this means blu-ray movies are outstanding. I just got directv and they now have 1080p broadcast, wow! I have had no problems at all, focus is perfect I have an image size of 120" Made my own screen by mudding over the bumps in standard drywall with spackle finish. Used matte paint on projection surface. I just love the picture and I am an HD junky. I purchased a Epson 7500UB lm very happy l have a 96 in. 1.3 gain screen....this projector has dazzled and amazed our family for years....l had a "red line"issue and Epson took care of the problem. ...l would buy Epson again...best warranty in the business. .....awesome briteness....cant be happier. .